Itching can be very common during pregnancy but the itch for OC is a little different. It can be so severe that you itch yourself so much you make yourself bleed. The main places you itch is the palm of your hands and bottom of your feet. The itch can be all over your body too. The itch usually isn't something you can 'cope' with. It can drain you as it is constant. 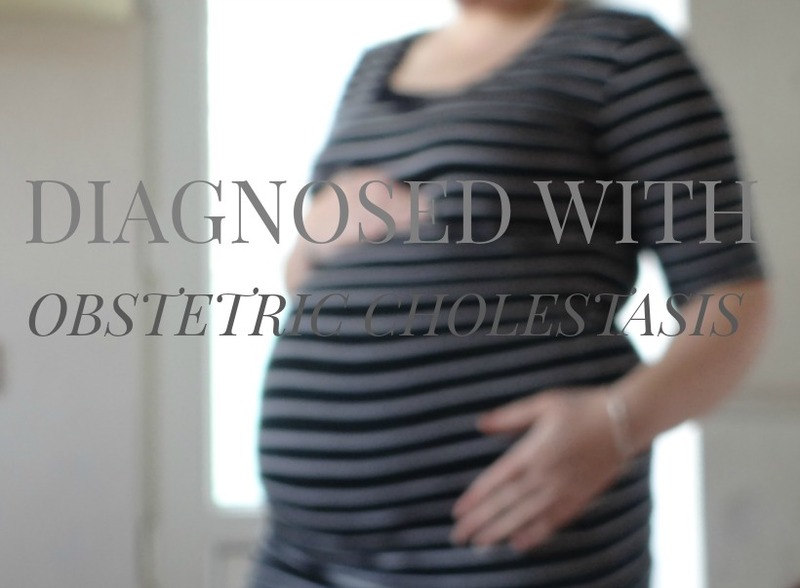 Obstetric Cholestasis is a liver disorder that affects one in 140 pregnant women. OC is a pregnancy condition which should never be ignored. It is when the normal flow of your bile acids from your liver is reduced. This is why you need your bloods checked if you ever itch during pregnancy. It is better to be safe than sorry. What many people do not know is if you leave Obstetric Cholestasis untreated then you do have a higher chance of Stillbirth. Once you do get on the right medication you should also be getting weekly bloods to keep a close eye on your ALT and Bile Acids levels. This is so important for you and baby. More than likely you will be induced before your due date if you have OC. I have been diagnosed with OC, for the third time. On Saturday, 12th of March I woke up with more itching on the palm of my hands. I have been itching very mildly since around 10-12 weeks of this pregnancy and but it has become more noticeable during the past 3-4 days. On Saturday morning I just had a gut feeling that I should phone the midwife at hospital too tell them. After explaining that I had OC in my other two previous pregnanice,s she said she will talk to a midwife and give me a call back. Within 1 hour the midwife phoned me back and she told me she wanted me in that day to take bloods. I was at the pregnancy assessment unit for less than 10 minutes. They also booked me for an appointment the following day. Funny enough my itching had become stronger that day (Saturday). Especially in the evening. Not as severe or even as bad as I had it with my previous pregnancies but I know it will only get worse! So no point complaining now. I arrived at the hospital again on Sunday 13th of March for my blood test results. She asked me to sit on the bed and told me my ALT levels had raised. My bile acid results aren't due back until next week. Normal ALT levels is 33 but mine are raised to 55, which the doctor and midwife has confirmed Obstetric Cholestasis. As the midwife left just to get some notes, I had a few tears. I think it just brought back the experience I had with my other two pregnancies. Maybe I just got a little scared. I won't lie, it was an absolute nightmare having Cholestasis the second time because I had Mia to look after and now knowing I don't have one, but two children to look after this time round. I will be loosing a lot of sleep, I will be feeling exhausted and shattered, I will be feeling down and no energy. I am not looking forward to it. I haven't been put on any medication yet but I think it's because my bile acid results aren't back yet. I have to get my bloods taken every single week now until Baby boy arrives. I am lucky that the midwife at hospital said my main midwife at my local clinic can take my bloods up until 28 weeks. From 28 weeks onwards I have to go to hospital, which will mean a 3-4 hours stay each week. I am hoping all of this will mean the weeks will just fly by now. The midwife also said that because I have been diagnosed early in this prengnacy, it does not mean it's going to cause more harm. Which is good! I was petrified about that. I am hoping that I will be allowed on medication soon and just kick start things from now on. More than likely I will be getting induced before my due date, if he doesn't decide to come on his own before the date. That is the reason why I am wanting to get everything ready by the end of June. I will be adding my Cholestasis updates to my weekly pregnancy updates. I have only heard of this because a friend was diagnosed with it in the late stages of pregnancy (and was induced because of it). Until that, I was totally unaware of it. It's great that you are raising awareness about it with this post - I'm sorry you have to go through it again, though. Oh boy. I had this condition and I was so so itchy and Sylvia had Jaundice after she was born. I hope everything goes okay and so long as your monitoredI l'm sure it will be.